Amy works with couples who are contemplating separation and/or divorce to help them discern a path forward, whether to work to repair the marriage or to pursue separation and divorce in the most respectful way possible. For families in the midst of a separation or divorce Amy’s work centers on helping them to navigate through this life transition, address co-parenting issues, develop a parenting plan and build a cooperative co-parenting relationship. In her role as a Mediator or Collaborative Divorce Coach she facilitates respectful communications and assists parents in reaching resolution on specific child related issues and/or the development of a customized and comprehensive parenting plan. In her role as a Parent Coordinator she creates a forum for a respectful and constructive approach to resolving parental conflicts and facilitates child centered decisions. Amy has been a leader in Maryland’s Collaborative community; she has been a past President and Board member of the Howard County Collaborative Professionals, Past President and Co-Founder of the Collaborative Professionals of Baltimore, past President of the Maryland Collaborative Practice Council and a current Board member of the Collaborative Project of Maryland. 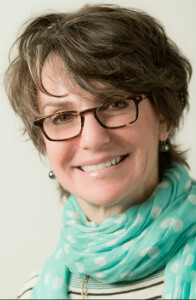 She has co-led workshops on Collaborative Practice for NASW and for University of Maryland’s School of Social Work’s Continuing Education program. She was featured in an article in NASW News September, 2014 entitled Peaceful Solutions: Collaborative Divorce Promotes Civility. Amy has offices in Baltimore and Howard counties. . For more information please visit her website at www.amymazer.com or she can be reached by phone at 410.960.2526 or by email amy@amymazer.com.